Many Washington state SDA members have had the pleasure of studying at the Gail Harker Center for Creative Arts, or even just visiting the studio for an exposition or a SDA group meeting. Gail was also one of the featured speakers at the 2012 SDA symposium in Seattle. Now a truly unique opportunity is being offered by Gail this October… a chance to tour and study art, design and stitch in Great Britain! Gail lived over 20 years in Britain, and has developed relationships that open doors to places that the general public will never get to see! 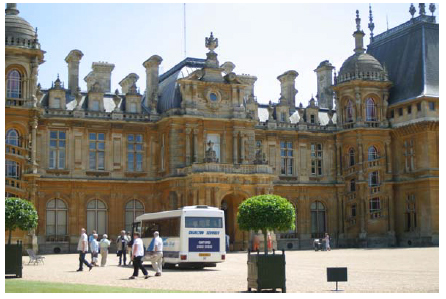 Tours to historic houses, museums and galleries will be guided by specialists, tutors and curators. If you have a keen interest in textiles of all sorts, including embroidery, quilts, and lace, or a fascination with educational and historic sites, you should consider this trip, planned specifically to enhance appreciation of art, design and stitch studies. The sense of camaraderie that Gail engenders in her students will be fostered during travel between venues in a comfortable coach where historic stitches and techniques will be discussed, demonstrated and even practiced. Participants are also encouraged to keep individual sketchbooks on the tour. 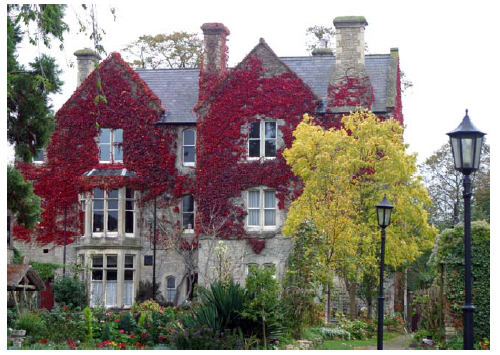 Each night after activities the participants will return to the Littlebury Hotel, with the exception of 2 nights aboard a ferry when the tour goes to Normandy, France, to see the amazing Bayeux Tapestry and moving D-day beaches. Returning to the same comfortable hotel each night allows students to share their experiences and not have the difficulty of packing up and moving multiple times throughout the trip. A portion of the 70 meter long Bayeux tapestry, embroidered in approximately 1070 CE. 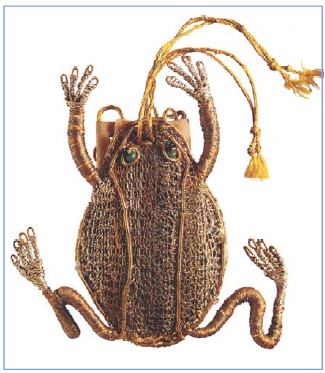 The tour starts off with a special one-day event called “The Big Stitch” at the Ashmoleum Museum, Oxford. There will be about 25 demonstrators throughout the museum, special talks, and a new exhibition of 17th century embroideries. At the Victoria & Albert Museum, a textile specialist will be giving the group a personal talk while viewing incredible Tutor, Stuart, Georgian, and Victorian textiles. One day is spent at the infamous Knitting and Stitching Show at Alexandra palace, where the height of stitched textile art is showcased each year, as well as an amazing vendor market of over 100 specialist shops. 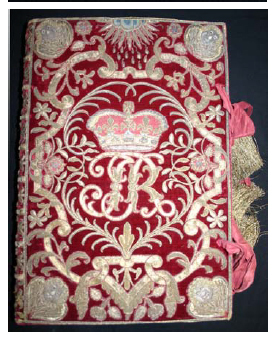 Another highlight is getting to visit the British Library where the group will get to see 16th-17th century books with embroidered pictorial bookbindings. There are so many wonderful stops and details that it’s difficult to pick just a few to highlight here. On the Gail Harker Center for Creative Arts website (http://www.gailcreativestudies.com/) you can download a full packet that describes all the details and places the tour will cover, as well as having some fantastic links to textile collections and online galleries. To find out all about this incredible tour, you can go to: http://www.gailcreativestudies.com/about/england-tour-2014 and scroll down to see the highlights and download the complete packet on the tour. 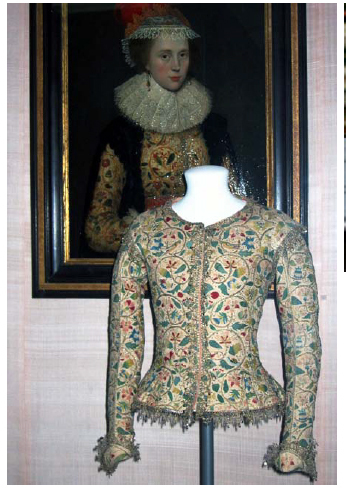 Margaret Layton waistcoat (1610-1615) at the Victoria & Albert Museum, made of linen, embroidered with colored silks, silver and silver-gilt thread, lined with silk. This entry was posted in Lectures, Trips - Tours and tagged Art, British Textiles, Design, Embroidery, Gail Harker, Gail Harker Center for Creative Arts.